In the FAA's Handbook of Aeronautical Knowledge, Max Takeoff Weight is defined as the "maximum allowable weight for takeoff." More specifically, the maximum takeoff weight is a limitation placed on the aircraft by the aircraft manufacturer during the design and testing process. It's a fixed weight. In aviation, MTOW is short for Maximum Takeoff Weight. Sometimes people refer to this weight as MGTOW or Maximum Gross Takeoff Weight. These two terms are interchangeable. More rarely, this weight might be referred to as Maximum Brake Release Weight. 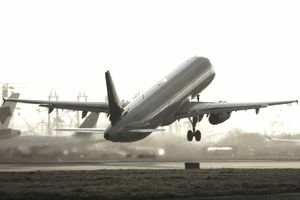 Maximum Takeoff Weight or Maximum Gross Takeoff Weight should not be confused with the Maximum Gross Weight of the aircraft itself, which is the maximum weight an aircraft can structurally handle, whether taking off or sitting on the ramp. The Maximum Gross Weight for an aircraft should never be exceeded at any time. MTOW can sometimes be exceeded, but not usually by a significant amount. For example, an aircraft can exceed MTOW when sitting on the ramp but must get rid of this weight before its brakes are released on the departure runway. Since the aircraft will burn fuel during the startup and taxi, it's possible that it will weigh slightly more upon startup than during takeoff. Due to structural limitations, an aircraft is restricted to a certain weight while taking off. If this weight is exceeded, the aircraft may become structurally damaged, or worse, fail to complete a successful takeoff altogether. Aircraft designers and manufacturers know the importance of MTOW. To their customers, a higher MTOW means an airplane can take off with more fuel and will have a longer range. Elevation: The higher the field elevation, the thinner the air is. An airplane will have a decrease in performance at high altitudes, which means a full payload may not be possible. Temperature: High temperatures also decrease aircraft performance, and can require a lighter load. Density Altitude: The higher the density altitude, which is pressure altitude corrected for nonstandard temperature, the worse the aircraft performance. Runway length and surface: An aircraft loaded to its maximum takeoff weight might require a long runway, and the same aircraft may not be able to take off on a shorter runway under certain conditions. Runway gradient: An up-sloping runway will require a longer takeoff distance than a down-sloping or flat runway, and should be taken into consideration with a heavy aircraft. Wind strength: A headwind aids takeoff performance; a tailwind degrades it. Obstacles during departure: Extremely heavy aircraft won't have a very good climb rate; therefore, it's especially important to calculate the climb gradient and rate for aircraft at the particular takeoff weight. A required climb gradient to overcome obstacles may not be possible in a very heavy aircraft. What Qualifies an Aircraft as "Technologically Advanced"
What's an Advisory Circular and Why Should You Care? Do You Know All of the Different NOTAMs? What Is WAAS and How Is It Different From GPS?